Unlike the past, when professionals led transport planning in Toronto, transport planning today has become the exclusive purview of poorly informed politicians. To have any chance of addressing gridlock, transit planning has to start with professionals who actually understand real needs and alternative solutions before political choices are made. The mayoral race in Toronto exemplifies the dreaded triumph of politicking on transit planning where the hopefuls have readily promised billions in spending to attract votes. Political expediency is the reason they collectively failed to recognize that the Yonge subway is the biggest single transit bottleneck in the city. Their proposals and promises are likely to worsen congestion at Yonge and Bloor, and Union Station even before the demand will increase on Yonge when the Eglinton LRT opens in 2020. A recently released series of short videos make the case for returning transit planning to experts. "Transit planning in Toronto and the GTA is a broken process," claim the transport experts behind the videos, who are dismayed at the sorry state of mobility and stalled planning in the GTA. The mayoral hopefuls and the electorate should listen to their advice before the city wastes billions more on projects that may do little to mitigate congestion in Toronto. There was a time in Toronto and the GTA when transport and urban experts worked together to plan and devise mobility solutions for the entire region. Back in the 60s, the transport planners realized that commuter rail would serve the mobility needs of suburban commuters who worked in downtown Toronto. The resulting expansion of the GO Rail and subway networks were then recognized globally as examples of sound planning and execution. Toronto and the region now long for the good old days when common sense prevailed, and decisions were based on facts and needs, and not self-interest alone. Fast forward a few decades and we can see how the City has regressed in terms of planning. When self-interest dominates, the collective good suffers. Consider the Sheppard subway expansion that has cost hundreds of millions of dollars and still carries fewer riders than the King streetcar. Transit projects proposed by mayoral hopefuls and provincial politicians lay bare the abysmal state of transport planning in the GTA. 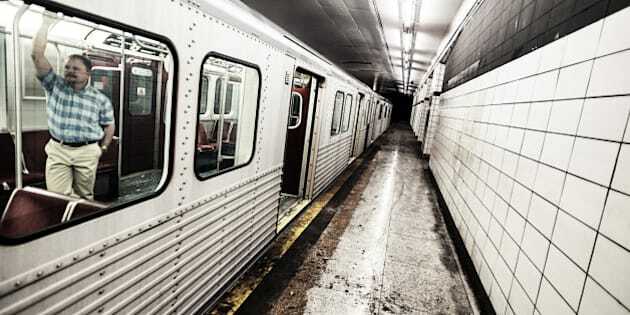 The Ford brothers have promised subways regardless of what the real transit demand is. They are least bothered by the prohibitive costs of building 32-km of subway lines and have low-balled construction costs to squeeze subways into their campaign. John Tory talks of running frequent transit service on the existing GO network. He proposes Tax Increment Financing (TIF) to finance transit expansion but appears unfazed by the fact that the "subways" he proposes will have to be tunnelled at locations that would raise the costs substantially. At the same time, he has yet to offer proof that TIF can raise the billions needed to pay Toronto's share of the costs. Moreover, TIF will increase housing prices even further in a City already struggling with affordability. Olivia Chow wants to invest in buses in the short-run and in a downtown relief line in the long-run. As with the others, she misses the elephant in the room, namely, congestion on the Yonge subway that requires investments in signals, new track, and station redesign. Provincial political leadership has also joined the current version of "transit follies." Former transport minister Glen Murray in September 2013 promised a Scarborough subway instead of the LRT rapid transit line, which was recommended by Metrolinx. Was his announcement based on any objective analysis by experts at the ministries of transportation and finance? Politicians' meddling in transit planning has to end now. The videos offer suggestions about doing it right by having "transport decision-making...informed by experts and approved by politicians." We recognize that politicians play the vital role of approving and championing the projects that have been informed by transit experts. Putting Toronto back on the track requires putting politicians in their place. This blog has been co-authored with Professor Emeritus Richard Soberman.